'Nature's Pyramid' by Neil Shapiro - DPC Prints! This is the beautiful view from the Klein Matterhorn, which is the highest (and coldest) location that you can get to by cable car in Zermatt. It overlooks both Switzerland and Italy. 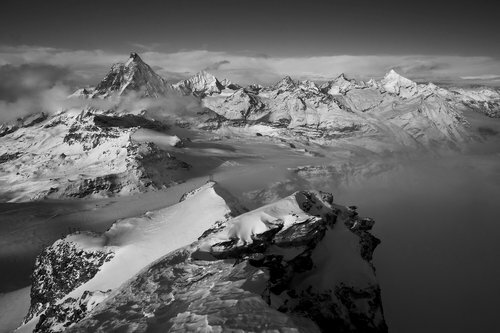 The largest pyramid you see is the Matterhorn.